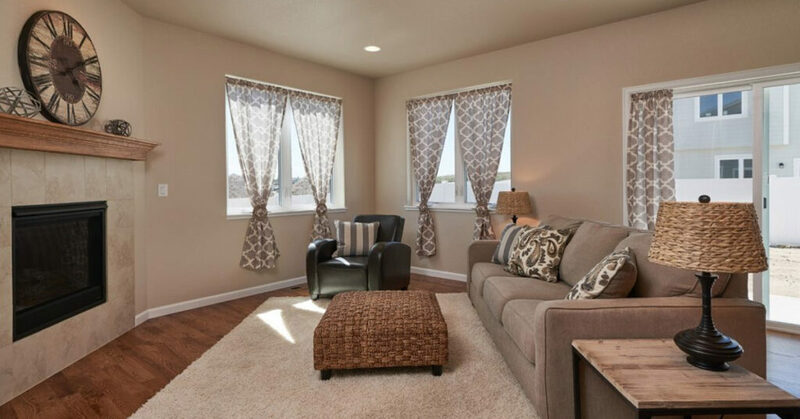 If you are looking for a vibrant, welcoming, and beautiful community to call home in Cheyenne, then it will be well worth your time to check out Thomas Heights. Construction began on this northeast neighborhood in 2015, with 193 single-family new homes being built on tree-lined streets that look out over the city of Cheyenne. Today, you’ll find families enjoying all of the amenities that Thomas Pointe has to offer. There are still a few homes available for purchase in the area, so if you’ve been considering a move to Cheyenne, this article will tell you more about the community of Thomas Pointe as well as about some of the houses that are currently available. If you like what you read here and want to learn more, you can contact Homes by Guardian. Our team would be happy to connect with you more information about Thomas Pointe as well as with updated listings of homes available in the area. A walkable neighborhood that retains country charm. One of the biggest benefits of living in Thomas Pointe is the fact that you won’t have to rely on your car to get around! Not only is this better for the environment, it’s better for our residents, too. You’ll be able to enjoy more of Cheyenne’s beautiful seasons as you walk to the grocery store, head out to get a coffee, spend some time at the park, or even grab some froyo with the family. 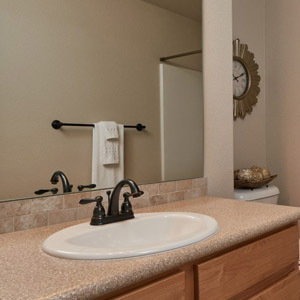 There are even athletic fields and an archery range nearby, so you and your family can enjoy all of your favorite activities together just minutes from your door. Despite its proximity to so many great shops and activities, the neighborhood itself still feels like it’s out in the country. Wide lanes, tree-lined streets, and plenty of space for the whole neighborhood to play add to the charm of the area. We made sure this neighborhood feels like home, right from the start. We wanted every member of the Thomas Pointe neighborhood to feel perfectly at home the minute they moved in. That’s the builders added tons of great features for your family to enjoy, including ponds, parks, community gardening areas, basketball courts and picnic areas. So not only will you feel at home in your house, you’ll feel at home in the neighborhood. These amenities are geared towards creating a community spirit where families can raise their children together and get to know their neighbors as their friends. You’ll see the difference when you drive through Thomas Pointe and see people sharing these areas and getting to know each other. The Carlyle. This is a great ranch-style home with an optional three car garage. Has a great master suite and open layout for the whole family to enjoy. The Dayton. The smallest house in our collection, this ranch style is available with 3 to 5 bedrooms with an optional shop in the garage! The Edison. A beautiful 2-story family home with separate family room and living room and main floor laundry. The Edison II. A different take on the original Edison, this plan includes an optional den and 3-car garage. The Jefferson. This is another great ranch-style home with the master bedroom on one side and the other bedrooms on the other; perfect for kids and guests! The Kinkade. Another beautiful ranch that’s built for chefs, with an open concept layout and large kitchen island. The Marshall. Perfect for the growing family! This tri-level home offers four to five bedrooms and plenty of space for everyone to spread out. As an added bonus, the homes in the Thomas Heights community will be some of the first in Cheyenne to enjoy high-speed fiber-optic internet. If your family loves to stream movies, video chat, or you work from home, you’ll love the superior quality and speed of this connection! Because Thomas Heights became such a popular development of new homes in the Cheyenne area, not all of these floorplans may still be available. You can check our current listings for updates on houses available within the neighborhood. Currently (as of the writing of this article), there is a Carlyle and a Kinkade home available, both in the low $300k’s. 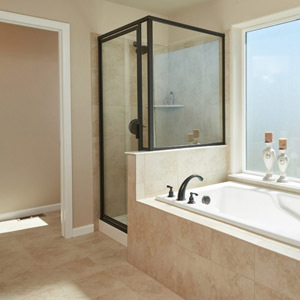 Homes by Guardian is one of the leading home builders in the Cheyenne area. Cheyenne residents know us and trust us because we’re not just home builders in the area, we’re their neighbors, too. We love the natural beauty of Cheyenne and want to give families a place where they can really enjoy the area. We’re dedicated to building high-quality homes that people are proud to own and live in, and places that their children can grow up in within safe and happy communities. Our dedication to our home buyers is part of the reason we’ve built such a strong reputation as a home builder within the Cheyenne community. When people are ready to buy a new home, they know they can trust one that is built by the Homes by Guardian team. Are you looking for new build homes in southern Wyoming? It’s time to discover what the new homes at Thomas Heights can offer you and your family. Beautiful home designs, a gorgeous neighborhood, and plenty of nearby amenities to keep you and your family busy. We’d love to show you around. Come to Cheyenne and take a tour of our neighborhood. If you’d like to see any of the houses available in our current listings while you are here, give us a call. We’ll arrange for a tour and answer any questions that you might have. Hopefully, you’ll be calling Thomas Heights your home sooner than you think! Give us a call or contact us through our website to speak with a member of our team.